"Do you love the Mega Man games? Do you have a passion for the classic 8-bit pixel style? Have you always wanted to combine your 8-bit passion with a Mega Man show? Vancouver is currently seeking a 2D Pixel-Art Graphics Gale and Flash Animator to join our team on the new Mega Man series! If you've always loved pixel-art video games and want the chance to work on a major property that's rebooting as a 3D show with 2D pixel-art interstitials, this is the job for you! 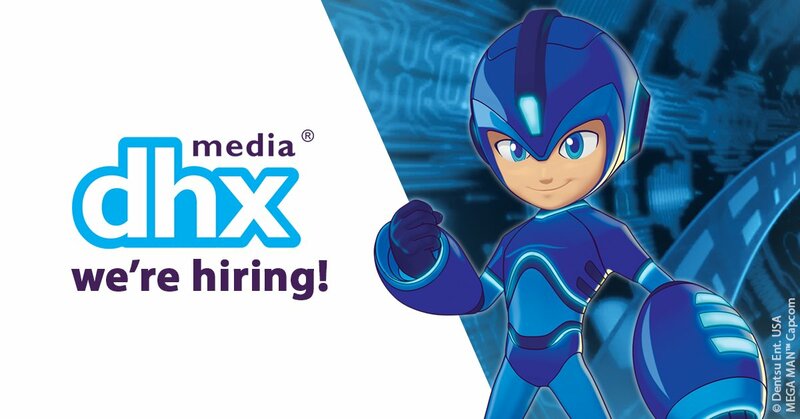 For this very unusual position, we're looking for someone who can animate in a clean, efficient fashion with a focus on storytelling and comedy, and a quick turnaround." Under the "What You'll Get to Do" subsection, DHX says you'll "research from existing pixel-art sources for inspiration and workflow." In other words, it sounds like you'll be tasked with looking at Mega Man sprites from past games and integrating them into the show. In the context of animation, the word "interstitials" typically means a short (very short) scene shown between two distinct segments. For example, an intersitital could be a bumper between the program and a commercial break. For Mega Man's interstitials, the implication here is there will be animated sprites – possibly 8-bit inspired – moving about to entertain the viewer from one portion of the show to the next. If anything, this could turn out to be a nice little nod to the source material. If you live in Vancouver and know a thing or two about 2D pixel animation, you could wind up on the show's production crew. Check out the full posting here. 8 bit again... Why can't they accept there are mega man games on super Nintendo and even Playstation?! I'm a bit confused on what's going on with this project. It was originally planned to come out this year, wasn't it? But they are still hiring production crew members at this point. Is this normal? The project started out as a 2D program slated for 2017 but was rebooted this year in 3D CG. It's still in production, slated to air on Cartoon Network in the US next year. What? Why the art shift reboot? That is like a waste of money of the 2D animators. Today's vectorial 2D animation is really cheap when compared to hand-drawn animation, I don't think it was a waste as they probably only did a pilot, it didn't catch and decided to shift. Wait... are we going back to 8-bit Mega man game...? And they wanted a reboot 8-bit Megamana?!?! Seriously?!? Heck, no! We want a new sequel Megaman games...!!! Please, don't do this... heaven no...! This doesn't reflect a game. It just means the show will be using 8-bit sprites in some fashion. I... what? That's... not fair. I live close to Canada but not close to Vancouver. Dang it. Why are all the jobs I actually qualify for nowhere near me...? Well, I can, at least, spread the word. I'm sure someone with 2D pixel art skills lives near or in Vancouver. "Help us ruin a franchise you love!" Great idea. We want to take the designs from the games and rework them with our terrible artstyle. Oh. So the "eyecatches" between commercial breaks? I keep hearing the people defending this cartoon say things along the line of this show being "not meant" for old Mega Man fans as it's going to be its own thing. But with this and a few other things we've seen, it seems like this is kind of very largely inspired by the Classic series. Which makes me wonder why they didn't just reboot the Classic series. This make remember me when capcom opened the devroom site to make all fans works to make legends 3 game. I hope this project end up canceled too, looks horrendous. Wasnt it supposed to come at the end of this one? Wasn't there supposed to be something about this show present at some convention or something that took place sometime this month? It was there but behind closed doors.